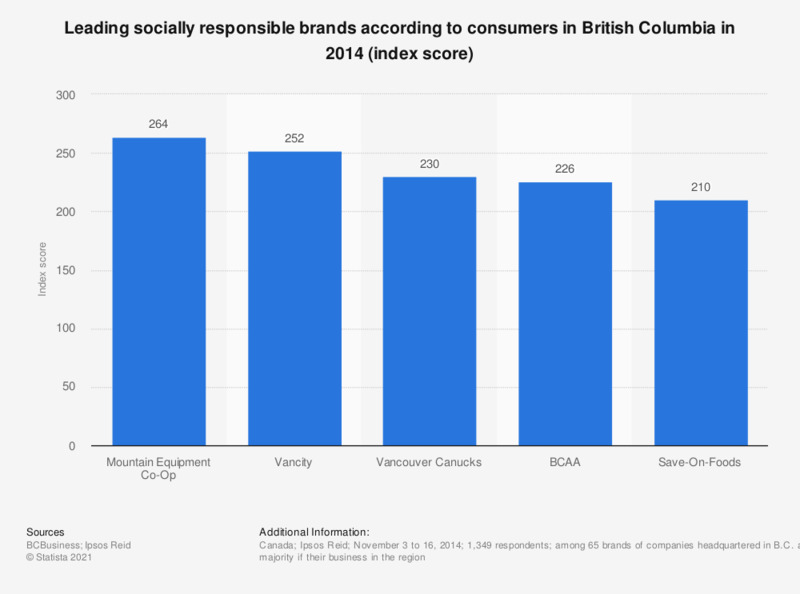 The statistic ranks the leading socially responsible brands according to consumers in British Columbia in 2014, based on an index score. The results indicate that Mountain Equipment Co-Op was the most socially responsible brand among British Columbians that year since it scored 164 points higher than the average brand in the region. Vancity ranked second with a 252 index score, which means it scored 152 points higher than the average brand studied for social responsibility.